When considering acupuncture as a treatment for a condition, you are choosing a form of medicine that dates back thousands of years. Acupuncture is the specific placement of needles into points on the body to produce a healing response. Each acupuncture point has specific results when stimulated. 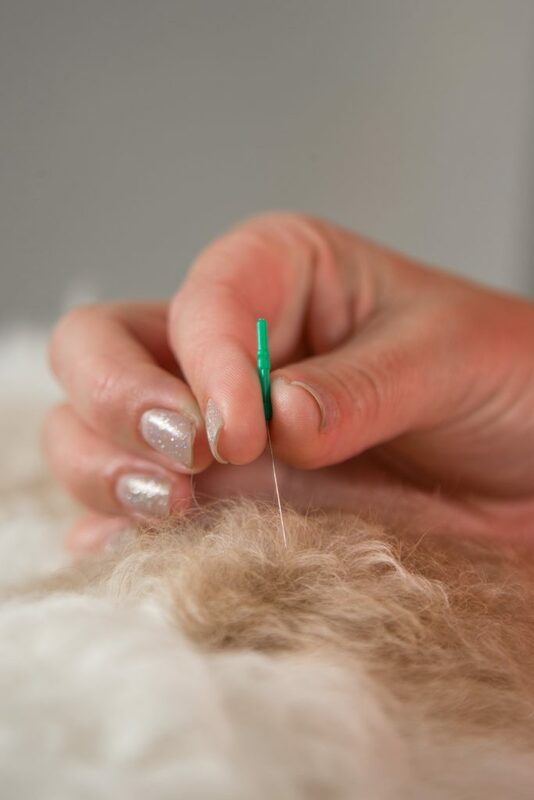 Acupuncture is used to treat a wide variety of conditions, from musculoskeletal problems, neurological disorders, GI conditions or pain management to chronic diseases such as asthma, renal failure, certain skin disorders and more. Clinical research has been conducted showing excellent results in the treatment of both humans and animals. The success and frequency of the treatment will vary, depending on the condition being treated and how long the condition has been present. A simple acute problem, such as a sprain, may require only one or two treatments, whereas more chronic or severe conditions may need several treatments. Some patients are treated with an electro acupuncture unit. A small electric current is sent to the acupuncture needle giving it an extra benefit. Other patients may receive what is known as dry needling, where a tiny needle is placed in specific locations for various time frames. The insertion of acupuncture needles is virtually painless. Most animals become quite relaxed and may even become sleepy. 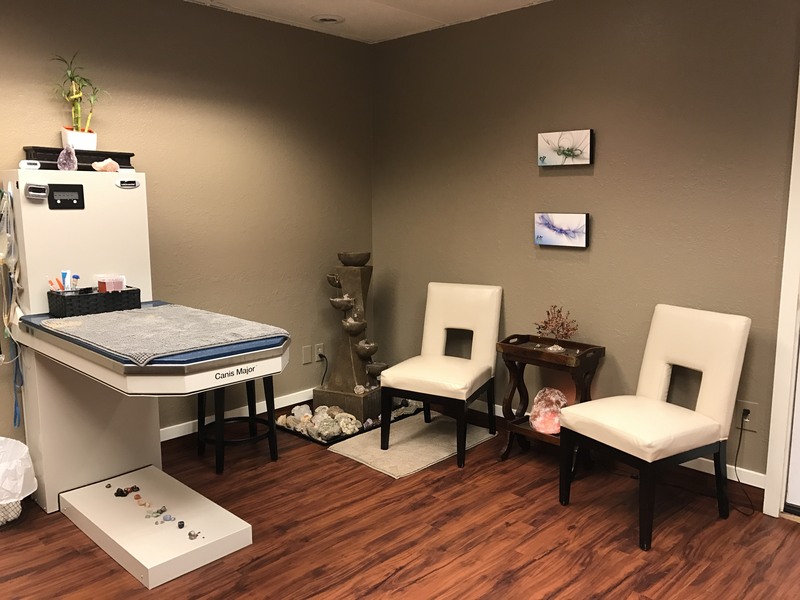 We have a dedicated room in our holistic center where we do our acupuncture. 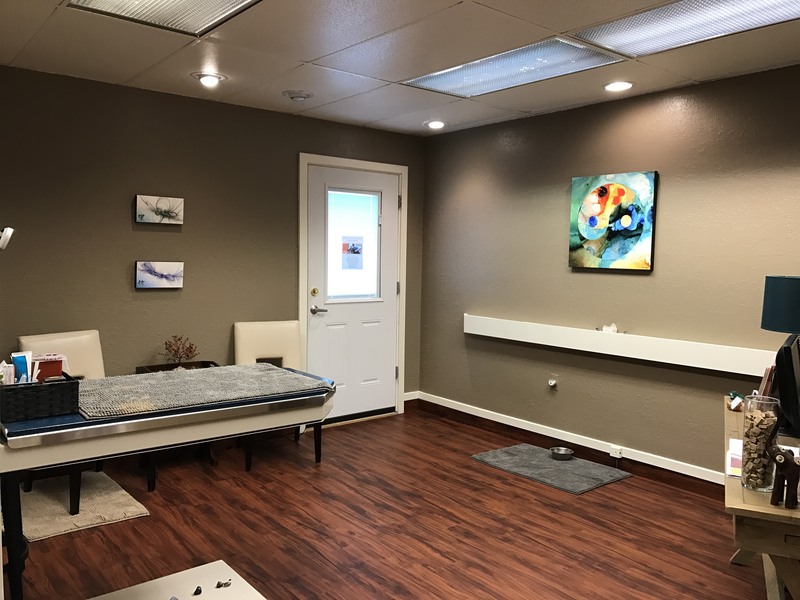 A peaceful and tranquil atmosphere where your pet can relax and receive treatment.